A few changes can make you healthier and happier. You try to balance time between your job and your life outside of the office. You’re busy. You’re often stressed. You really can’t afford to lose hours from your day. But if you commute to work, that’s exactly what’s happening. You may spend an hour, two hours, or even more every day sitting in your car, stuck in traffic, wishing you were somewhere else. Those lost hours are more than just a waste of time, though. They may have a detrimental impact on your physical and emotional health, not to mention your productivity and your relationships. Navigating rush hour has proven effects on you physically. Your body reacts to bumper-to-bumper traffic with a fight-or-flight response, but since you can neither battle nor flee, your stress levels skyrocket. As a result, when you get to the office at the beginning of the day, or walk through the doors of your home at the end, you’re already frazzled. That commuting stress, and the behavior you exhibit because of it, can make you a less pleasant coworker, spouse, parent, or friend. People struggle to work with or talk to someone who is always on edge. When you’re losing time every day, something has to give. A long commute forces many people to buy something quick instead of spending time cooking dinner with fresh food. Note point number three. Also, when you’re spending longer on the road each day, you’re less likely to make time to exercise. One study found that people who have long commutes are 21% more likely to be obese than those who have shorter travel times. The longer it takes you to get to and from work, the less time you have to finish all of the other tasks on your daily to-do list. To get everything done, many people sacrifice sleep. The study mentioned above found that those with longer commutes were 46% more likely to get less than the recommended seven hours of sleep each night. Think about it: if you’re stressed, tired, and unhealthy, how likely are you to be able to focus on your work? If you’re finding that you get considerably less done in the office as your commute time lengthens, clearly it’s having an effect. 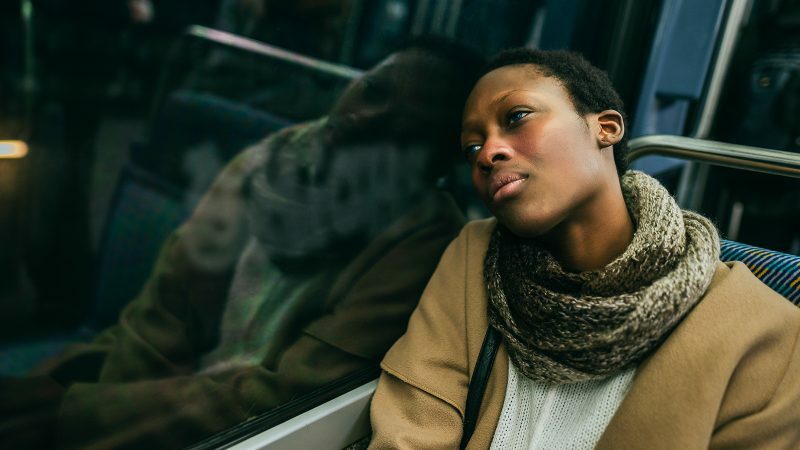 All of the negative physical and emotional impacts of commuting are bound to take a bite out of the joy you feel about life in general. An article from Fast Company cites a Swedish study that found that “much of the making of day-to-day happiness depends on making the mundane parts of life more positive.” There’s nothing more mundane than a commute, and it’s rarely a positive experience. “If you can cut an hour out of your commute, that makes a relative difference of $40,000 to your happiness levels,” the article says. Do you recognize any of these traits in yourself? If so, perhaps it’s time to look for alternatives to that long commute. One option is to seek employment in an office that is closer to your home. But perhaps an even better idea is to avoid the commute entirely. Are you a self-starter who communicates and collaborates well with colleagues? Do you have a functional and comfortable home office? Are you more focused and productive when you’re working on your own? If you can honestly answer “yes,” it’s time to think about a move to remote work. Ask your boss if you can do a telecommuting test. If she agrees, try working from home and seeing how it affects your productivity, your stress levels, and your physical health.